The bedroom of the family of Manush Moses, 41, and Soghomon Amseian, 48, who fled their home in Syria’s eastern city of Deir Ezzor in 2013. The family moved to Qamishli for two years, and then moved to Armenia in 2015. Before the war disturbed their lives, Soghomon owned a photo studio in Deir Ezzor, which had been the family business for generations. Soghomon does not have a full time job, he works on demand assembling furniture. Manush works as a cook in a kindergarten where they also take their youngest son. The hardships are making the family rethink their stay in Armenia, and possibly move to Lebanon or any other country with better economy. The family of pictured Mari Kilejian, 41, and her husband Khachig Manuel, 56, was one of the last to flee the northern Syrian city of Kobani in 2014 when the Islamic State attacked it. 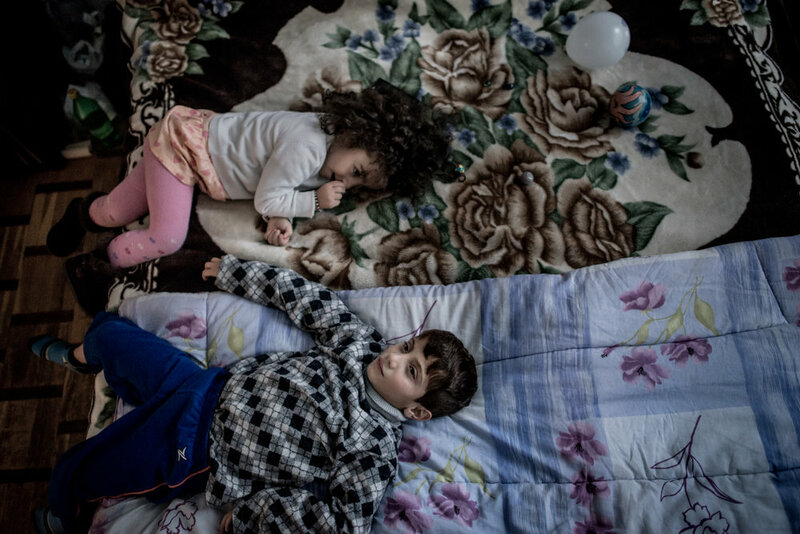 They endured hardships on their way to the bordering Turkish town of Suruc, where they stayed in a refugee camp for almost a year before being able to come to Armenia. Mari and Khachig have three children. Khachig Manuel, 56, in the living room of his family's rented house in Yerevan. Khachig’s engagement photo from 1993 hangs on the wall, and is the only item his family has as a memory from Syria. Khachig has problems with his heart, and stays silent while his wife Mari tells the story of the bureaucratic hardship she was going through to arrange his free healthcare. The family of Mari Kilejian, 41, and Khachig Manuel, 56, was one of the last to flee the northern Syrian city of Kobani in 2014 when the Islamic State attacked it. 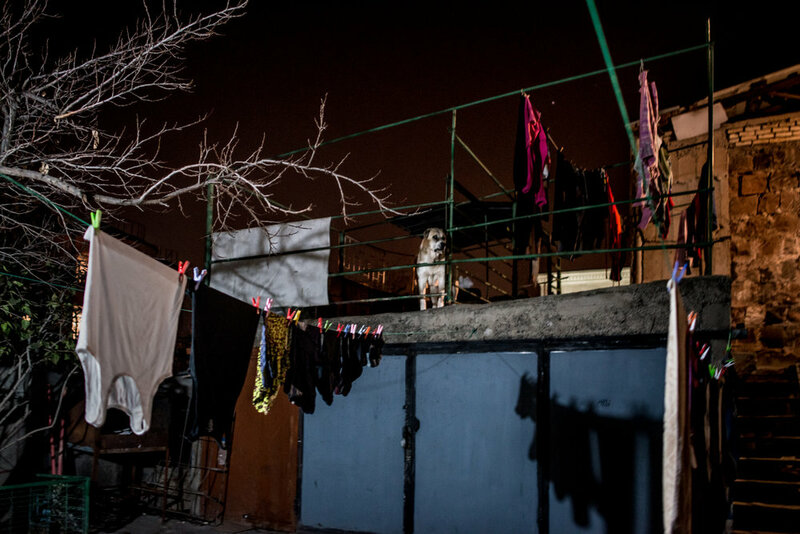 Pictured is the backyard of the family’s apartment in Armenia, guarded by the neighbor's dog Jacko. Aline Kassabji and her husband Vahram Der Ohanian, along with their son, arrived in Yerevan from Aleppo in September 2014. They opened a sandwich shop in the Armenian capital, continuing a business that Vahram had worked in since his teenage years. Aline prepares the ingredients for the sandwiches at home. She is passionate about Russian language and Vladimir Putin. Garo Tomassian, 8, plays with his newfound friend, Aaliyah, from Yerevan. Garo's family - his mother, two older brothers, and sister - arrived in Armenia from Turkey’s Suruc refugee camp in September 2015. His father was killed by Islamic State fighters earlier that year. They rented a house in Yerevan, and their mother Ilona found work as a tailor. The family moved to Suruc after fleeing Kobani. Note: This family is related to the family of Serop Tomassian. Serop was the brother of the killed father of this family. This family lives separately from Serop's family, in Yerevan. 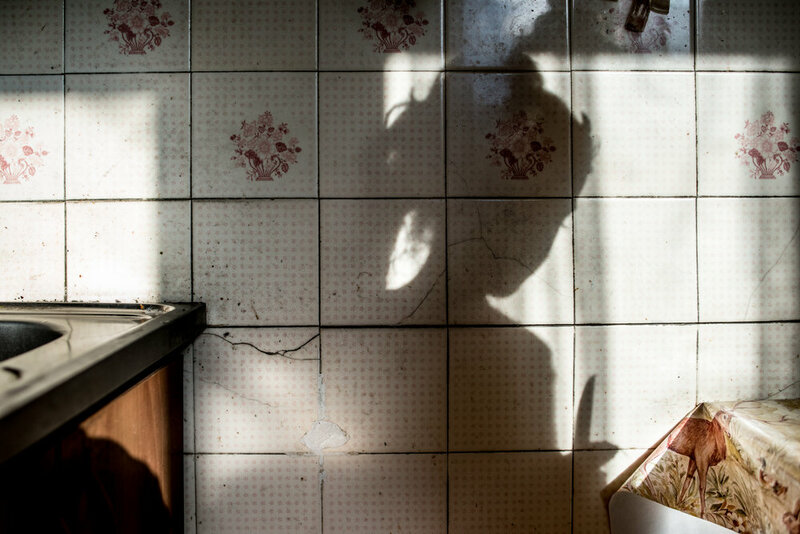 Maral, 11, is the only female in her family, and does most of the housework. Her father, Serop Tomassian, is a single father of four. Their family is from Kobani in Syria, and arrived in Armenia in 2015. Hrach Donabedyan, 53, is Syrian Armenian and lives alone in Nagorno Karabakh's Kovsakan village. The family of Kristine Khalatyan and Andranik Chaushyan has lived in Berdzor, Nagorno Karabakh, since 2015. Andranik arrived from Syria and Kristine is from Yerevan. They were given a house by the Karabakh governement, as they moved in. Andranik took part in the Four-Day war between Armenia and Azerbaijan in Karabakh in April 2016. Remains of an old Soviet restaurant in Kovsakan village, Nagorno Karabakh. Armenia has welcomed more than 20,000 Syrians since the beginning of the war there, and most of these people are Syrian Armenians. The refugees are descendants of those who fled the Armenian Genocide in 1915-1924 in Ottoman Turkey. Hundred years later, these people are forced to move again, coming this time to Armenia. Another land populated by ethnic Armenians, Nagorno Karabakh, has also been welcoming Syrian Armenians since 2011. This land, a conflict zone in ceasefire that is being violated constantly, is still more peaceful than Syria.